With general elections pending in several European countries – in the Netherlands in March, in France in April and May, in Germany in September – there is an intensifying debate about how to learn from the events of 2016, how to reach, engage and activate audiences (in this case: voters) most effectively. In the aftermath of Brexit and the US Presidential Elections, there is considerable interest in personality mapping based on the digital footprint of an individual, and how this information can be used for data driven political marketing. Natural language processing computer systems such as IBM’s Watson can help us understand better what resonates with audiences (and why), and what doesn’t. Illustrating that point, IBM’s Jeremy Waite ran an analysis of both Donald Trump’s 2017 acceptance speech, and Barack Obama’s 2009 speech. What made that research remarkable was the fact that it was published just hours after Trump gave his speech. He used Watson’s four APIs to run analyses in its speech-to-text engine, as well as its sentiment and tone analyser, and finally, personality insights. What Watson does exceptionally well is analyse the written word, but since verbal communication only accounts for a small percentage of communication overall, additional types of analysis are required to understand context and impact: how something was said, and why it was said, is just as important as what was said. Advertising has coined the phrase CPA, or continuous partial attention, for the phenomenon of having to manage a continuous information overflow. Successful communicators and marketers respond to this by applying systematically what is called the ‘cocktail party rule’: if you want to be boring, talk about yourself; if you want to be interesting, talk about the things that matter to the people around you. The populism of a Nigel Farage or Donald Trump seems to be more effective at connecting with audiences, than the more fact-based approach of the Remain campaign in the UK’s EU Referendum, or Hilary Clinton’s decades of experience in US politics and policy-making. The business journalist and publishing strategist Adam Tinworth calls this the ‘asymmetric information warfare’ between the fact-based rational journalism of the mainstream media, and the narrative-based emotional approach of political movements and their (mainly) social media proponents. Neuroscience and psychology provide some context: the older parts of the brain that regulate instinctive behaviour (‘to survive in the wild’) trigger reactions that favour known over unknown, and in-group over out-group. The newer parts of the brain, where cognition and rational thinking and decision-making are regulated, will usually finish second in a straight race between emotions and facts. As neuroscientist Marc Lewis put it in a Guardian article: “Nobody is innocent when it comes to brain wiring”. Facts and statistics still have a central place in public discourse, but they need to be embedded in a compelling narrative. A master of this art, the Swedish scholar Hans Rosling, sadly died last week. To honour his legacy, truth and trust in data and facts need to be re-established. The various initiatives by government bodies, mainstream and social media firms, technology companies – they all have a role to play in addressing the problem. At the same time, coming back to the neuroscience perspective, truth was always something that our brains perceived in their own ways. Understanding and accepting this will be a step toward de-polarising the debate. Or as Dr Daniel Glaser puts it: “Our sense of the world is a bunch of guesses that we generate from experience, expectations and beliefs. Reading and watching the news is simply a bit of feedback that supports what we believe is happening anyway”. 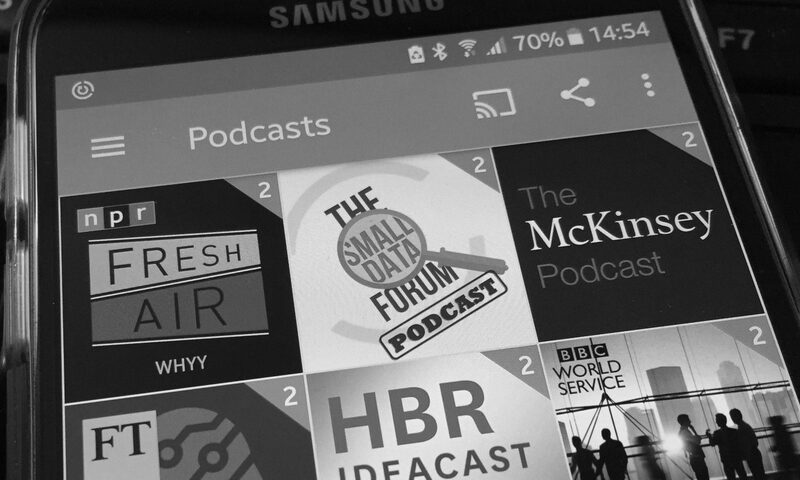 Listen to Neville, Sam and myself debating the above topics in episode 6 of our Small Data Forum Podcast. Next PostNext 07: How does Big Data convert into Business Value?